To say it is to blow it. What Miliband means, is that he is unable to put his manifesto before the electorate because it is way too extreme. Miliband, is a focused and dedicated Communist and as all critical theorists are. Obliteration first - the divide and conquer strategy and it is working, Broon and Bliar's plans were untouched even augmented under Cameron. There is not much left for Zanu Labour to wreck. 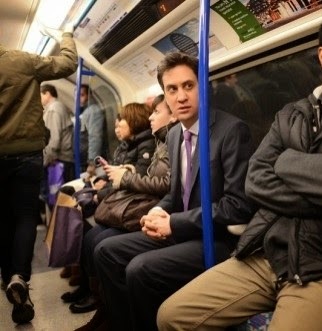 What Miliband means is, "I can't tell you how bad I am going to make it for you blasted Brits!" I wonder how the doomsday scenario ends when the English are ruled by a rag tag coalition of Scots, Welsh and Metropolitan benefits recipients - i'm a little scared! And both did it in broadly the direction they had said they would. How do you know that whoever wins this time won't change things?